While there’s no equivalent site in Sweden, the English version of eBay is popular with Swedish buyers & sellers, and you can shop there in Swedish krona. Click here for international eBay in Sweden! If you are looking for a similar site with all the buyer, seller features, buyer protection, and auctions system there is really no match for eBay. The site is very well known, even without support for Swedish language, as most online buyers have no problems shopping in English. Step 3. Scroll down to “Location” settings. Step 4. Select Sweden in the “Located in” drop-down menu. Another useful feature is to select Europe under “Item Location” in the left search bar when searching for items. Products purchased within the EU are free from import duties under the free trade law agreement. And ship faster too. The same website automatically supports the Swedish krona for visitors with a Swedish IP address. This is an online identification number assigned to all internet users and in this case is used to detect your location. 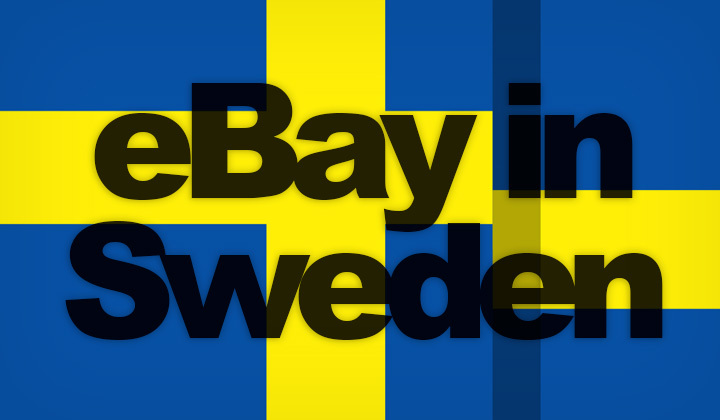 When you are physically located in Sweden, eBay will display items with the SEK currency. As eBay is abundant with buyers from Sweden, it’s also a great way to sell items to Swedish consumers from anywhere, and in English. You need to join the Global Shipping Program for shipping to Sweden. So getting back to the question if there are sites similar to, or equivalent to eBay. Here are the best options, which however come with limitations. This is a popular auctions website in the country, and they were aquired by eBay back in 2015. Although only available in Swedish language, they support members from foreign countries that can purchase a limited range of items available for international order. Sellers need to be physically located in Sweden. There are some fixed priced items but the site is mostly popular for auctioning used items. Both private sellers and companies list items here. No buyer protection. This website is purely for individual listings of items, mostly used. The service was founded in 1996 and largely remains old-fashioned, although still popular. You need to get in touch and arrange purchases in private with the seller. According to statistics, 7 out of 10 Swedes have bought or sold something on Blocket within their lifetimes. Especially known for and still used for buying used cars and furniture. Sorted by Swedish provinces, this site is very local in nature. The two above mentioned sites are worth mentioning because of their continued popularity. However, as mentioned features remain largely limited for those used to eBay services. For sellers located outside of Sweden, the international eBay route is likely best and the most convenient option. The registered domain eBay.se is purely a redirect to eBay.com which is an officially supported and recommended site for English speaking users from Sweden. Know English/Swedish sites equivalent or like eBay in Sweden? Please, share us your thoughts in the comments! I want to kindly inform my visitors, that some of the “sites like” posts can contain affiliate links. This supports the blog and my efforts without costing you any extra. Also this is completely voluntary. Anyway, huge thanks to all readers! David.